The report is prefaced by General Bernard Norlain of the Air Force, former Director of IHEDN, and it begins with a preamble by André Lebeau, former President of the National Center for Space Studies (Centre National D’études Spatiales), or CNES, the French equivalent of NASA. The group itself, collective author of the report, is an association of experts, many of whom are or have been auditors of IHEDN, and it is presided over by General Denis Letty of the Air Force, former auditor (FA) of IHEDN. General Norlain explains in a short preface how this committee was created. General Letty came to see him in March 1995, when he was Director of IHEDN, to discuss his idea of a committee on UFOs. Norlain assured him of his interest and referred him to the Association of Auditors of IHEDN, which in turn gave him its support. As a result, several members of the committee come from the Association of Auditors of IHEDN, joined by other experts. It is interesting to recall here that, twenty years ago, it was a report of that same Association which led to the creation of GEPAN, the first unit for UFO study, at CNES. Most of the committee hold, or have held, important functions in defense, industry, teaching, research, or various central administrations. General Norlain expresses hope that this report will help develop new efforts in France and lead to indispensable international cooperation. General Letty, as president of COMETA, points to the main theme of the report, which is that the accumulation of well documented observations compels us now to consider all hypotheses as to the origin of UFOs, especially extraterrestrial hypotheses. The committee then presents the contents of the study. The first part consists of the presentation of some remarkable cases from both France and other countries. In a third part, measures to be taken regarding defense are considered, based on information from both civilian and military pilots. Strategic, political and religious consequences, should the extraterrestrial hypothesis be confirmed, are then discussed. Part I: "Facts and Testimonies"
Part II: "The Present State of Knowledge"
The second part begins with a survey of the organization of official UFO research in France, from the first instructions given to the gendarmerie in 1974 for the recording of reports, to the creation of GEPAN in 1977, its organization and its results, including collection of more than 3,000 reports from the gendarmerie, cases studies, and statistical analyses. It then surveys agreements passed by GEPAN and, later, SEPRA, with the air force and the army, the civilian aviation and other organizations, such as civilian and military laboratories, for the analysis of samples and photographs. Regarding SEPRA’s methods and results, we are reminded of some famous cases (Trans-en-Provence, l’Amarante), and emphasis is placed on catalogues of cases, notably of pilots (Weinstein catalogue), and radar/visual reports world wide. A historical note appears here with a quotation of the famous letter of General Twining, of September 1947, which even then asserted the reality of UFOs. The following chapter, called "UFOs: Hypotheses and attempts at modeling" ("OVNI: hypothèses,essais de modélisation") discusses some models and hypotheses which are under study in several countries. Partial simulations have already been made for UFO propulsion, based on observations of aspects such as: speed, movements and accelerations, engine failure of nearby vehicles, and paralysis of witnesses. One model is MHD propulsion, already tested successfully in water, and which might be achieved in the atmosphere with superconducting circuits, in a few decades. Other studies are briefly mentioned regarding both atmospheric and space propulsion, such as particle beams, antigravity, or reliance on planetary and stellar impulsion. It is suggested that the failure vehicle engines may be explained by microwave radiation. In fact, high power hyperfrequency generators are under study in France and other countries. One application is microwave weapons. Particle beams, such as proton beams, which ionize the air and therefore become visible, might explain the observation of truncated luminous beams. Microwaves might explain body paralysis. In the same chapter global explanatory hypotheses are studied next. Hoaxes are rare and easily detected. Some nonscientific theories are discarded, such as conspiracy and manipulation by very secret, powerful groups. Also rejected are parapsychological phenomena, and collective hallucinations. The hypothesis of secret weapons is also regarded as very improbable, as is "intoxication" or hysteria at the time of the Cold War, along with natural phenomena. We are then left with various extraterrestrial hypotheses. One version has been developed in France by astronomers Jean-Claude Ribes and Guy Monnet, based on the concept of "space islands" of American physicist O’Neill, and it is compatible with present-day physics. The organization of UFO research in the United States, Great Britain and Russia is rapidly surveyed. In the United States, the media and the polls show a marked interest and concern of the public, but the official position, especially of the Air Force, is still one of denial, more precisely that there is no threat to national security. Actually, declassified documents, released under FOIA, show another story, one of surveillance of nuclear installations by UFOs, and the continued study of UFOs by the military and intelligence agencies. The report stresses the importance, in the United States, of private independent associations. It mentions the briefing document Best Available Evidence [available from CUFOS—see publications page] sent in 1995 to a thousand personalities worldwide, and the Sturrock workshop in 1997, both sponsored by Lawrence Rockefeller. The Best Available Evidence has obviously been welcomed by the authors of the COMETA report. The committee also notes the public emergence of alleged insiders such as Colonel Philip Corso, and concludes that his testimony might be partially revealing as to the real situation in the U.S., despite its many critics. The report briefly describes the situation in Great Britain, with a special mention of Nick Pope, and poses the question of the possible existence of secret studies pursued jointly with American services. It mentions as well research in Russia, and the release of some information, notably by the KGB in 1991. Part III: "UFOs and Defense"
In the third part the report states that if it is true that no hostile action has been proven yet, at least some acts of intimidation have been recorded in France (the Mirage IV case, for instance). Since the extraterrestrial origin of UFOs cannot be ruled out, it is therefore necessary to study the consequences of that hypothesis at the strategic level, but also at the political, religious and media/public information levels. The first chapter of Part III is devoted to prospective strategies and it begins with fundamental questions. 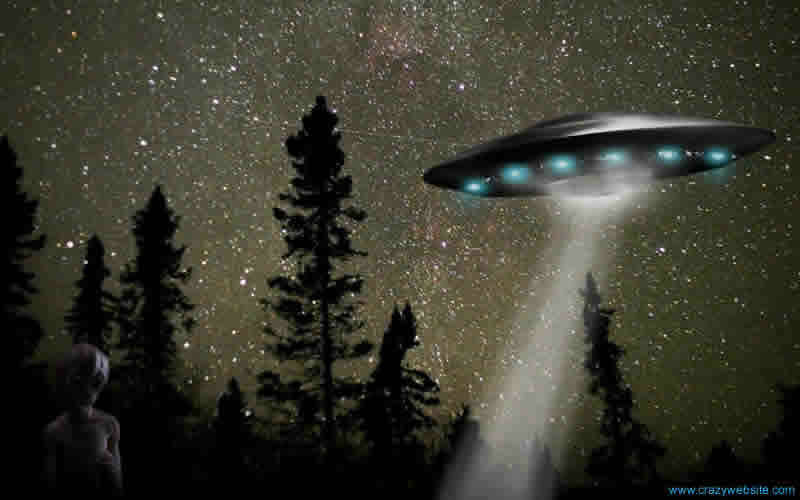 What if UFOs are extraterrestrial? What intentions and what strategy can we deduce from their behavior? Such questions open a more controversial part of the report. 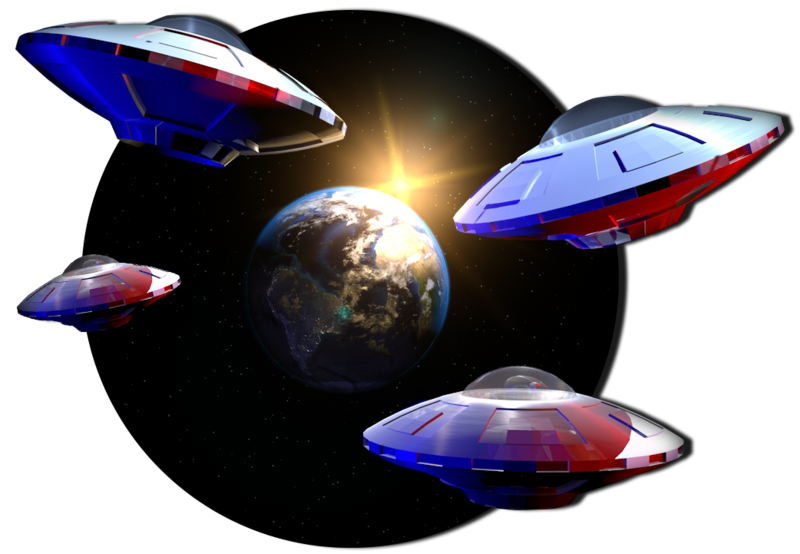 Possible motivations of extraterrestrial visitors are explored here, such as protection of planet Earth against the dangers of nuclear war, suggested for instance by repeated flying over nuclear missile sites. The committee then ponders the possible repercussion on the behavior, official or not, of different nations and focuses on the possibility of secret, privileged contacts which might be "attributed to the United States." The attitude of the U.S. is seen as "most strange" since the 1947 wave and the Roswell event. Since that time, a policy of increasing secrecy seems to have been applied, which might be explained by the protection at all cost of military technological superiority to be acquired from the study of UFOs. Next, the report tackles the question "What measures must we take now?" At the least, whatever the nature of UFOs, they require "critical vigilance," in particular regarding the risk of "destabilizing manipulations." A kind of "cosmic vigilance" should be applied by the elites, nationally and internationally, in order to prevent any shocking surprise, erroneous interpretation and hostile manipulation. Nationally, COMETA urges the strengthening of SEPRA, and recommends the creation of a committee at the highest level of government, entrusted with the development of hypotheses, strategy, and preparation of cooperative agreements with European and other foreign countries. A further step would be that European states and the European Union undertake diplomatic action with the Unites States within the framework of political and strategic alliances. A key question of the report is "What situations must we be prepared for?" It mentions such scenarios as an extraterrestrial move for official contact; discovery of a UFO/alien base on Earth; invasion (deemed improbable) and localized or massive attack; manipulation or deliberate disinformation aiming at destabilizing other states. COMETA devotes special attention to "aeronautical implications," with detailed recommendations aimed at various personnel, such as air staffs, controllers, weathermen and engineers. It also makes recommendations at the scientific and technical levels, aimed at developing research with potential benefits for defense and industry. 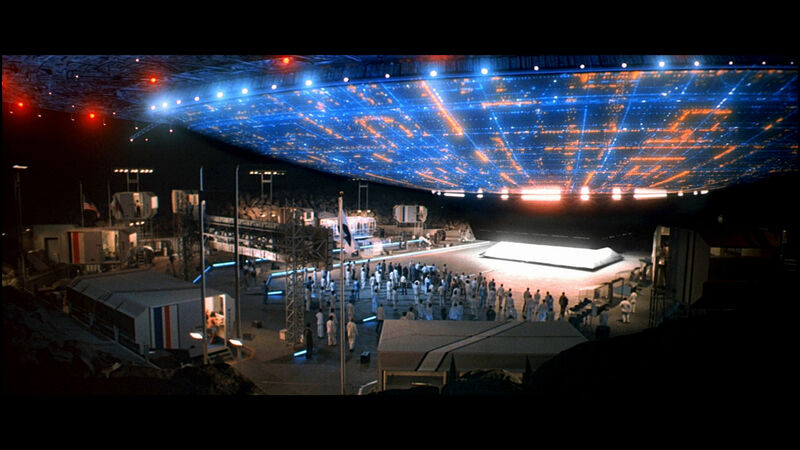 The report further explores the political and religious implications of UFOs, using as a model the perspective of our own exploration of space: How would we do it, how would we handle contacts with less advanced civilizations? Such an approach is not new to the well-informed readers of the abundant ufological literature, but it has a special value here, being treated seriously at such a level. The implications for the media and public opinion are not neglected, with the problems of disinformation, fear of ridicule, and manipulation by certain groups. In its conclusion, COMETA claims that the physical reality of UFOs, under control of intelligent beings, is "quasi-certain." Only one hypothesis takes into account the available data: the hypothesis of extraterrestrial visitors. This hypothesis is of course unproven, but has far-reaching consequences. The goals of these alleged visitors remain unknown but must be the subject of speculations and prospective scenarios. In the middle to late 1970s, several individuals, mostly associated with the group Citizens Against UFO Secrecy (CAUS), used the Freedom of Information Act (FOIA) to compel various U.S. government agencies to release their files on the UFO phenomenon. The FBI, the National Security Agency (NSA), and the CIA eventually complied with the law and released documents relating to UFOs, although the NSA did so only after a lawsuit was filed by CAUS. In addition, with the help of FOIA, the air force was forced to make available UFO documents which it had collected or produced after Project Blue Book closed in late 1969. These documents do not contain a smoking gun to prove that the U.S. government has a secret UFO project. They did show that many agencies had an ongoing interest in the UFO phenomenon that was often independent of the air force’s UFO project, and that the interest continued after it ended. 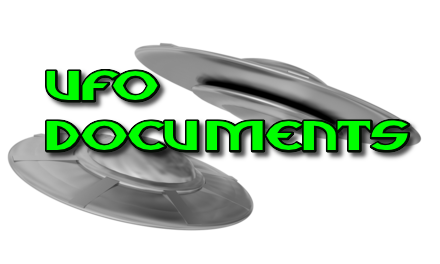 Many of these documents have been made available to the public by UFO groups, including CUFOS and the Fund for UFO Research. It was also possible to obtain these documents directly from the agencies involved, which undoubtedly has increased their workload on a subject they consider to be unimportant. The growth of the Internet has now provided at least two agencies--the FBI and the NSA--with a resource which they can use to reduce their workload. In the past few months, both agencies have placed all their released UFO documents on their Web sites. I assume that, in the future, people who contact the FBI and NSA for copies of UFO documents will first be referred to the Web sites, thus placing the burden of retrieval on the public. Nevertheless, this arrangement is an excellent opportunity for all those who wish to directly read FBI and NSA UFO documents, at only the cost of a phone call to your Internet provider. The address (or URL) of each site is listed at the end of this article. The FBI’s involvement with UFO investigation was bief. After Kenneth Arnold’s sighting and the public furor it caused, the FBI became quite active in UFO investigation in a parallel effort to that of the air force. The FBI worked in an unsystematic fashion for a couple of months, mainly interviewing witnesses to sightings. Then in September 1947, the FBI learned from a source in the air force that the military wanted the FBI to investigate cases of disks found on the ground, which were essentially hoaxes (or so the FBI thought). This didn’t sit well with J. Edgar Hoover, FBI director, who didn’t want his men wasting time looking into obvious hoaxes while the air force investigated reports of UFOs in the air. Consequently, Hoover wrote to Major General George C. McDonald on September 27, 1947, and told him that the FBI was immediately discontinuing its investigative activity. This letter is shown in Figure 1.
hen the FBI has done little to investigate UFO reports, although it did allegedly investigate some UFO witnesses and investigators, especially during the 1950s, when cobout e Soviets and subversion was widespread. The section of the FBI Web site with the UFO documents is entitled "Unusual Phenomena" because it also contains documents concerning the FBI investigation of animal mutilations in the southwest. The investigation was begun because of several mutilations in New Mexico and political pressure at the federal level to find the culprits. The FBI eventually concluded that the mutilations were the work of predators, a judgment that was hotly disputed by some ranchers and local law enforcement officials. The number of UFO documents from the NSA is more extensive. This is not because the NSA conducted UFO investigations, but instead because the nature of the NSA’s work is to monitor communications around the globe that might affect U.S. security. At times, these communications concern the sighting of unusual objects or phenomena, which the NSA collects as part of its routine duties. Although the agency was forced to release most of its UFO-related documents (some are still withheld for national security reasons), many of them are covered with deletions. I’ve chosen one at random from communications intelligence reports to provide an example (see Figure 2). All identifying details as to time, place, witnesses, and report source have been removed, leaving too few details to make research feasible. The list of NSA documents includes, amazingly enough, some articles from UFO journals, such as The U.S. Government and the Iran Case from IUR. Many airgrams from the Department of State reporting on UFO sightings overseas are listed; these documents were essentially internal telegrams used to communicate quickly between agencies. There are also some Roswell documents from the Air Force’s latest investigations. The NSA Web site includes a speculative article, written in 1968, entitled UFO Hypothesis and Survival Questions. This document, which was originally classified secret, discusses various hypotheses for the UFO phenomenon, including hoaxes, natural phenomena, secret government devices, and extraterrestrials, and considers the implications for security if each is true. It concludes by noting that a study of UFOs may provide an pportunity for man to "recognize and adapt to real environmental situations." A portion of the first page of this seven-page document is shown in Figure 3. There is no evidence that this draft report was ever completed, or that it began as part of an official NSA UFO investigation, but it does make for interesting reading. It also shows how seriously the UFO question was viewed by some in the intelligence community in the late 1960s. The files on both Web sites are in PDF, or portable document format. You must download (for free) the Adobe Acrobat Reader program to view them. The files can be viewed online or downloaded for later viewing. However, you should be forewarned that many of the files are quite large, as much as seven megabytes in size, so you’ll need a relatively fast Internet connection to make the wait less than interminable. These links do not represent an endorsement by CUFOS. Boulder Creek, CA – December 1, 2000 – National Aviation Reporting Center On Anomalous Phenomena (NARCAP) officials announced today the formation of the only research organization in America organized to improve U.S. aviation safety related to various kinds of unidentified aerial phenomena. NARCAP is a non-profit, scientific organization that will provide pilots and air traffic controllers with a special telephone number, confidential reporting web site, and other means to use to report their sightings to qualified and sympathetic listeners. Ted Roe, NARCAP’s executive director said, "our center was developed to help enhance aviation safety by better understanding the nature and potential effects of unidentified aerial phenomena (UAP) upon ground and airborne systems, piloting, and cockpit/aircrew procedures." The center takes no position on the source or nature of such phenomena and prefers to let the data speak for themselves. "We provide a confidential, telephone and Internet-based reporting system for radar personnel, air traffic controllers, and pilots to use that assists our technical staff in documenting high quality, scientifically relevant data on UAP of many different kinds," Roe stated. Dr. Richard F. Haines, a retired NASA research scientist and NARCAP’s chief scientist, explained why the new organization was formed. "We conducted a thorough, fifty-year review of pilot reports of unidentified aerial phenomena in America and found almost one hundred incidents that appeared to impact aviation safety either directly or indirectly. For instance, we found numerous instances of temporary or permanent disabling of one or more on-board electrical or magnetically controlled systems during close proximity to UAP. We found that many pilots changed their altitude and/or course to avoid a collision with nearby UAP—sometimes with passenger and crew injury—and we found cases of cockpit confusion during these intriguing close encounters. These reports suggest that an unexplained aerial phenomenon does exist and deserves serious scientific study, and that U.S. aviation safety could be adversely affected by UAP under certain circumstances." Roe outlined the steps which NARCAP will follow to achieve its mission: "We have set up focused technical analysis teams made up of specialists in such areas as aerodynamics, flight control systems, meteorology, aerophysics, astronomy, and other fields. These teams will analyze reports sent in to us via our website (www.NARCAP.org), our toll-free phone line, regular mail, and through face-to-face meetings." He emphasized, "we have worked hard to develop means to safeguard the identity of all reporters and we honor all requests for anonymity. We realize that this is a touchy subject that has evoked ridicule in the past for those who have been brave enough to come forward with a sighting report." Technical reports will be prepared on each case following the general approach used by the national transportation safety board in its aviation accident analyses. NARCAP will also cooperate fully with existing agencies when they request technical assistance. "we also provide summary reports of our findings to interested parties," Roe stressed. "Our national advisory board is comprised of individuals not only professionally qualified in their own fields but who are open minded about unidentified aerial phenomenon of all kinds," said Dr. Haines. "We call upon them for both technical and policy level advice." NARCAP has a flight simulation capability to assist the pilots in carrying out a flight re-construction. This capability helps us "tease out those small but important hidden details of an incident." Dr. Haines stated, "based on a comprehensive review of past U.S.. pilot, radar operator, and controller reports, we believe there is a potential and ongoing threat to aviation safety posed by so-called anomalous aerial phenomena. In the same way that wind shear, lightning strikes, bird strikes, and other very low probability of occurrence events can influence aviation safety so can some unidentified aerial phenomena. Pilots must be prepared to deal effectively with them. We would like to work with the nation’s airlines to implement special pilot training classes directly related to coping with such close encounters in the air." Commenting further, Dr. Haines stated that federal aviation authorities have taken wind shear very seriously, requiring special commercial pilot training and installation of costly and sensitive wind shear sensing-reporting equipment at some airports and in the cockpit. Yet UAP appear to occur with equal or greater frequency than does wind shear, UAP have caused transient and permanent effects on cockpit instruments basic to navigation and flight control, and UAP have also contributed to an increase in both pilot and air traffic controller workload due to their unexpected appearance and poorly understood characteristics that can lead to overreactions on the part of aviation personnel. "Unidentified aerial phenomena must not be disregarded any longer. U.S. aviation officials should face the documented facts and then quietly but effectively introduce procedures and programs to help pilots and controllers cope more effectively with these ubiquitous phenomena. Our science community also should become involved in the serious study of UAP for the common good and we would like to collect the data they need," said Dr. Haines. The main purpose of this catalog at present is to help identify and fill in where possible missing or difficult-to-obtain U.S. Air Force documentation on better quality Unexplained UFO cases, not to present here the "proof" of UFO reality nor to discuss possible IFO identifications, subjects reserved for later analysis once full files can be examined. Here the goal is preliminary and to compile more complete documentation, not the perfection of the analysis or categorizations. This catalog will be used eventually to produce another catalog of UFO Best Evidence after a screening process based on Hynek's and other criteria and for that reason columns for data on Duration, No. of Witnesses, Angular Size and "Instrumentation/Scientists etc." have been separately presented from the available case data and/or calculated where possible. When Project Blue Book (BB) closed down on Jan. 30, 1970 (it was not on Dec. 17, 1969, which was merely the announcement date by the Secretary of the Air Force) the total number of Unidentified sightings was thought to be 701 and this is the number given on all subsequent press releases and so-called "fact sheets." However, based on the review by Hynek and the CUFOS staff of the released sanitized BB microfilm and Hynek's personal records which included many missing (and unsanitized) BB documents, the final number was determined to have been approximately 587, apparently reflecting an IFO elimination process carried out on old historical cases by the next-to- last BB Chief, Major Hector Quintanilla in the 60's (and of dubious scientific validity based on examples McDonald studied), which must have reduced the number of Unexplained cases by 114. Evidently the AF did not update its annual historical UFO statistics to reflect this gradual winnowing process, not realizing it could improve upon its anti-UFO PR position by reducing the perennially embarrassing number of Unidentifieds. However, in reverse, Hynek re-evaluated 53 Blue Book IFO cases as Unexplained UFO cases, bringing the total partially back, up to 640, unfortunately a complete list identifying these is not available, though some of the worksheets have been copied by Jan Aldrich from CUFOS-Hynek files. A number of the re-evaluated cases have been included in The Hynek UFO Report book published in 1977. Much more disturbing are the indications from my limited review of BB cases that there may be as many as possibly 4,000 Unexplained UFO cases miscategorized as IFO's in the BB files. McDonald similarly stated in 1968 at his CASI lecture that from his review of BB cases he estimated that 30-40% of 12,000 cases were Unexplained, or about 3,600 to 4,800. These are mostly military cases and many involve radar. McDonald argued with Hynek on a number of occasions from 1966 onward that the number of Unknowns in the BB files was in reality “about an order of magnitude” greater than what the AF claimed (so instead of 500-600 Unidentifieds possibly as many as 5,000-6,000). The BB files total some 13,134 cases altogether, UFO and IFO, according to the Hynek-CUFOS revised statistics, or about 14,613 when 1,558 "info only" cases are included, per the FUFOR Index. Many cases are actually multiple incidents filed under one date/location. For simplicity I am therefore rounding up to 15,000 as the approximate total number of UFO incidents in the BB files. This catalog is based primarily on the outstanding catalog prepared by Don Berliner of the Fund for UFO Research (FUFOR) from his exhaustive review of the then unreleased Project Blue Book (BB) files at Maxwell AFB (Air Force Base), Alabama, in Jan. 1974, which included many witness names that were later sanitized out ("blacked out") of the public release of the BB files by the Air Force in 1974-5. Berliner's effort ought to be supplemented with the tremendous intelligence coup by William Weitzel and FUFOR in early March 1998 in discovering and later securing copies of the unsanitized pre-redaction record copy 16 mm Maxwell AFB microfilm of the BB files that the National Archives inadvertently made available (at the College Park, Maryland, NARA II facility in Record Group 341 / 190 / 68 / 08 / 03, boxes 1-6, 70 films numbered 30,362 through 30,431), but no resources are available for such a large-scale research project. 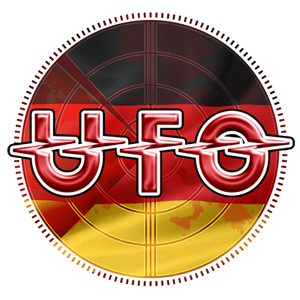 All of UFOlogy owes an enormous debt of gratitude to FUFOR for this lasting contribution to the preservation and disclosure of this vast treasure of priceless military UFO records. Editor’s Note: Jan Aldrich is the director of Project 1947, devoted to the documentation of the early history of the UFO phenomenon. He and the project may be reached at Box 391, Canterbury, CT 06331. In the general correspondence file on UFOs for the Director of Intelligence (Decimal files .009 "Flying Disks" 1949), there were vague references made to this document and other USAF contacts with the Joint Intelligence Committee regarding UFOs. Citizens Against UFO Secrecy (CAUS) did submit FOIA requests for the document, which was thought to be classified secret. CAUS had been looking for this document for more than 20 years. It was found in the National Archives II in College Park, Maryland, in the USAF Air Force Director of Intelligence files entitled AGeneral File July 1945--December 1954: Records Relating to the Requirements for and the Collection and Dissemination of Intelligence" (Records Group 341, Entry 214A) during research for Project 1947 in July 1997. The JIC document had not been found previously because it had been classified top secret and was not in the records checked to satisfy the previous FOIA requests. This discovery demonstrates the usefulness of on site records inspection by researchers. "There’s something damned queer going on. For fifteen months, 'Project Sauce' is buttoned up tight. Top Secret. Then suddenly, Forrestal gets the Saturday Evening Post to run two articles, brushing the whole thing off. The first piece hits the stands and what happens?" Purdy swung around, jabbed his finger at a document on his desk. "The same day, the Air Force rushes out his Project 'Saucer' report. It admits they haven’t identified the disks in any important cases. They say it’s still serious enough--wait a minute"--he thumbed through the stapled papers--"to require constant vigilance by 'Project Saucer' personnel and civilian population." Purdy only knew the half of it. There was more. Had Keyhoe or Purdy known of the other activities around the last part of April and early May, they would have been sure there was something funny occurring. The Air Force made a concerted effort to disseminate its position to both official circles and the public. Shalett’s article dismissed UFOs as any type of problem despite the conclusions of the recently printed "Analysis of Flying Object Incidents in the United States," which recommended that efforts be taken to determine whether UFOs represented a domestic development. Or if not, that actions be taken to determine whether they were a foreign development. Shalett’s article was his own, but it was probably endorsed by Leo. The Project Saucer press release was less negative, as Purdy pointed out to Keyhoe. There was then a necessity to make sure that the USAF and the intelligence community knew the Directorate of Intelligence’s position. Therefore, the briefings prior to the release of the Project Saucer press memorandum informed these officials of the Air Force intelligence position. Project Grudge’s files had been opened to Shalett. Leo wrote to Wright Field, advising that Shalett should be given access to all information except for foreign sources and any material classified top secret. Soon after Shalett’s article hit the stands, other writers and editors also requested access to the files at Wright Field. Purdy was one of the first. Maj. Gen. Cabell may have ost his bid to limit press access, but when asked about these new requests, Cabell responded that if one writer was given access, then all of them should have access. Cabell’s sense of fair play may have helped Keyhoe and Purdy obtain the information that convinced them that UFOs were extraterrestrial. The desired effect of Shalett’s article was soon overcome by Keyhoe’s articles and his subsequent bestselling book, The Flying Saucers Are Real. The JIC document has eluded researchers for years. In it one can see the seeds of the later Project Grudge report. It contains a summarized history of the Air Force’s early attempt to investigate UFO reports. 1. To advise the Joint Intelligence Committee of the findings of the Directorate of Intelligence, USAF, regarding the sightings of unidentified aerial objects and the Air Force organization established for further investigation and solution of the problem. 2. Following the great number of reported sightings of flying discs during the summer of 1947, Hq, Air Materiel Command, in a letter dated 23 September 1947, requested that the Commanding General, Army Air Forces, issue a directive assigning a priority, security classification and code name for a detailed study of flying disc reports. Hq, Air Materiel Command explained that their action was based on the opinon that phenomena reported appeared to be real and that there were objects in existence which would approximate the shape of a disc. AMC concluded that some incidents might be caused by natural phenomena but that some incidents described characteristics which suggested evasive tactics. Awaiting a specific directive, Hq, AMC continued to collect information on flying disc incidents in order to more clearly define the nature of the phenomena. On the 22nd of December 1947, in a memorandum, "Analysis of Flying Disc Reports," the Director of Intelligence concurred with Air Materiel Command’s recommendation and forwarded their letter to the Director of Research and Development, DCS/M for reply. 3. In a letter dated 30 December 1947, the Director of Research and Development, DCS/M, advised the Commanding General, AMC, that Air Force policy was not to ignore reports of sightings and phenomena in the atmosphere but to recognize that part of its mission to collect, evaluate and act on information of this nature. To implement this policy it was directed that Hq, Air Materiel Command set up a project with the purpose of collecting, collating, evaluating, and distributing to interested government agencies and contractors, all information concerning sightings and phenomena in the atmosphere which could be construed to be of concern to the national security. This directive assigned a priority of 2-A to the project, a RESTRICTED classification, and a code name of "SIGN." 4. At Air Materiel Command the Technical Intelligence Division was assigned the responsibility for accomplishing this mission with the full assistance of all divisions and activities within Air Materiel Command to permit successful completion of the project. The cooperation of the Army, Navy, Coast Guard and F.B.I. was solicited in order to facilitate the forwarding and investigation of all reports. Arrangements were effected for handling such reports directly with Air Materiel Command. 5. In addition to the collection, analysis and investigation activities directed by the project personnel at Hq, Air Materiel Command, Air Intelligence Memorandum dated 6 August 1948, subject: "Flying Saucers," required that a study be made by the Air Intelligence Division to examine the pattern of tactics of reported flying saucers and develop conclusions as to their probability. The results of this analysis were prepared as Air Intelligence division(DI/USAF-ONI) Study No. 203, "Analysis of Flying Object Incidents in the United States." The Directorate of Intelligence has maintained close liaison with Project "SIGN" activities in order that appropriate staff sections of Headquarters, USAF may be adequately advised on the entire subject of unidentified aerial phenomena reports. 6. The code name of "SIGN" for the project was changed to "GRUDGE" by a request on 16 December 1948 by the Director of Research and Development, DCS/M, Hq, USAF. "GRUDGE" under the U.S. Joint Services Code Word Index refers to the title "Detailed Study of Flying Discs." 7. Hq, Air Materiel Command will continue its investigations under project "GRUDGE" and the Directorate of Intelligence, USAF, will maintain close liaison with that Command in order to advise Staff sections on the subject of unidentified aerial objects. 8. See Appendix "A" for discussion of the problem and conclusions drawn therefrom. a. Furnish the Director of Intelligence, USAF, with comments on this paper. Facts and Discussion 1. As of 10 March 1949, a total of 256 incidents involving unidentified aerial objects had been recorded, under Project "SIGN." The majority of these were domestic observations but there were many from reports from foreign sources. In each incident the observers have been interrogated by investigators and the results have been analyzed by technical personnel. 2. Condensed summaries have been prepared on each incident to provide basic information to individuals and agencies having a responsibility or interest in the project. 6. A psychological analysis of the reported data is being prepared by Aero-Medical Laboratory, AMC, for the purpose of determining those incidents that are probably based upon errors of the human mind and senses. A preliminary verbal report from the professional psychologists indicates that a considerable number of incidents can be explained as ordinary occurrences that have been misrepresented, as the result of human errors. 7. Specialist services, supplementary to those of AMC technical offices, are being provided by a number of agencies. 8. The Air Weather Service has reviewed incident data and has provided the information that 24 of the first 172 coincide, both with respect to location and time, with the release of weather balloons. 9. The Ohio State University has contracted with AMC to supply astronomical services in an effort to identify meteors, planetoids and associated phenomena. Professor Hynek, Ohio State University Astrophysicist and head of the University Observatory has reviewed the incident summary sheets. 10. Preliminary report of Dr. Hynek, indicates that 30 per cent of the first 200 incidents are positively attributable to astronomical phenomena, and 45 per cent could be explained on the basis of such phenomena or the sighting of weather balloons and other objects. This gives a total of 75 per cent of all incidents with possible explanation. 11. Members of the Scientific Advisory Board o the Chief of Staff, USAF, who have provided consultant services to Project "Grudge," include Dr. Irving Langmuir, Chief, General Electric Research and Dr. G. E. Valley of MIT. 12. Dr.G. E. Valley has displayed an active interest in Project "Grudge" to the extent of reviewing the reported incidents and writing an overall type of analysis in which he groups the various objects and then analyzes each group from the standpoint of scientific feasibility. 13. Inasmuch as various surmises have been advanced that some of the reported observations may have represented "space ships" or satellite vehicles, a special study has been initiated with the Rand Corporation, under the Rand Project, to provide an analysis from this standpoint and also to provide fundamental information, pertaining to the basic design and performance characteristics that might distinguish a possible "space ship." Rand Corporation has also informed AMC that their analysis of all incidents leads them to the conclusion that there is nothing in any reported incidents which would go against a rational explanation. 14. The Weather Bureau Library of the Department of Commerce has supplied information on "ball lightning." This was requested because of the belief by some persons that some of the observations may have represented "ball lightning." It appears that the subject of "ball lightning" occupies an undetermined status and authorities are not at all convinced that such a phenomenon actually exists. 15. On 8 April 1949 the repeated occurrence of green fireball phenomena in New Mexico was discussed with Dr. Joseph Kaplan, member of the USAF Scientific Advisory Board. This phenomenon has caused considerable concern on the part of Hq, Fourth Army and has occupied the interests of Dr. Lincoln LaPaz of the University of New Mexico. Dr. LaPaz believes that the phenomena are not meteorites. Because of Dr. LaPaz’ outstanding ability for accurate observation and his experience in identification of meteoritic phenomena, Dr. Kaplan expressed the belief that the green fireball phenomena should be further investigated. Dr. Kaplan’s views and this phenomena were discussed 12 April 1948 with Dr. Theodore von Karman, Chairman, USAF Scientific Advisory Board, who feels that the problem is more properly in the field of upper atmosphere research than the field of intelligence. a. All incidents which coincide with explainable aerial activities or recorded natural phenomena should be eliminated from further consideration. b. Creditable unexplained incidents involving light phenomena should be further investigated and analyzed by highly competent scientists who can establish the identity either within or without the limits of known natural phenomena. c. Creditable unexplained incidents which might involve the use of atomic powered craft of usual [sic] design should be considered jointly by the Atomic Energy Commission and highly competent aerodynamicists to determine the necessity for further consideration of such incidents by the National Defense Intelligence Agencies. 17. The majority of reported incidents are reliable to the extent that they have involved the sighting of some object or light phenomenon. 18. In spite of the lack of accurate data provided by witnesses, the majority of reported incidnts have been caused by mis-identification of weather balloons, high altitude balloons with lights and/or electronic equipment, meteors, bolides, and the planet Venus. 19. There are numerous reports from reliable and competent observers for which a conclusive explanation has not been made. Some of these involve descriptions which would place them in the category of new manifestations of probable natural phenomena but others involve configurations and described performance which might conceivably represent an advanced aerodynamical development. A few unexplained incidents surpass these limits of credibility. 20. It is unlikely that a foreign power would expose a superior aerial weapon by a prolonged ineffectual penetration of the United States. Editor’s Note: Mark Rodeghier is CUFOS scientific director. In late 1993, inquiries from several UFO researchers led CIA Director R. James Woolsey to order a review of all CIA files on UFOs. This agency-wide search occurred in 1994 and centralized the CIA’s UFO files. Taking advantage of this opportunity, government historian Gerald K. Haines reviewed the documents, conducted interviews, and wrote a study examining the CIA’s interest and involvement in UFO investigation and government UFO policy from 1947 until 1990. This is a rather important document because it is the first time that a government agency has written a review of its involvement with UFOs. Although the study had been available at least since June when I downloaded it from the CIA Web site, it did not receive widespread publicity until early August. But when the press learned about the Haines study, the attention was dramatic. The story was carried in most large newspapers, on the NBC Nightly News, and many other media outlets. A typical headline from the Chicago Sun-Times reads, "CIA feared UFO hysteria." Several columnists used the CIA history as an opportunity to bash the CIA and secrecy in government, as exemplified by the column by David Wise (author of The Politics of Lying: Government Deception, Secrecy, and Power) in the New York Times "Big Lies and Little Green Men." The media generally focused on two aspects of the Haines article. In a brief section entitled "CIA’s U–2 and OXCART as UFOs," Haines claims that many UFO sightings in the late 1950s and 1960s were actually misidentified secret American spy planes. Moreover, he alleges that the Air Force’s Project Blue Book was in on this cover-up, purposely misled the public, and falsified (Haines didn’t use that word but that is plainly what the Air Force would be doing) UFO explanations. This is important news if true, and the media rightly played up this angle. Note that the CIA is not accused of deception by Haines; rather, it is the Air Force that willingly concocted the bogus explanations. Reporters asked the Air Force for comment, and on August 4, Brigadier General Ronald Sconyers told the press, "I cannot confirm or deny that we lied. The Air Force is committed to providing accurate and timely information within the confines of national security." Press coverage focused on the panel’s recommendations that UFO reports be debunked (a policy Blue Book followed assiduously after 1953), that UFO groups be watched, and that there was a danger the Soviets might use UFOs to clog the channels of communication and then launch a nuclear attack. The deception about our spy planes was just a small part of this strategy. Although the press was only late by about 40 years, their coverage of this aspect of the report is a positive note for ufology. What is clear from the tone of most articles is that the CIA’s (and Air Force’s) lies about UFOs are just further examples of all the many lies the American public had been told during the Cold War. And for once, ufologists are being viewed in a sympathetic light by the media as direct victims of government deception. Coming on the heels of the Air Force’s second report on Roswell, the tide has begun to turn against the government in the UFO debate. More and more, it is becoming apparent the government has lied about UFOs for years, and that it still may be lying today. Although the press gave so much coverage to the Haines article, it missed part of the story, failed to do any independent investigation, and generally swallowed the report as written. As Paul Harvey says, now for the rest of the story. The report by Haines is remarkably brief, given the CIA’s complex UFO involvement. In its Internet version the full article is 21 pages in length, with eight pages of that for footnotes (with several interesting tidbits buried there). Whole swaths of history, such as the early 1970s, are compressed into a few paragraphs or sentences. Certainly a more complete study could be done, and perhaps the classified version is a bit longer. Nevertheless, to this credit, Haines several times makes it clear that the CIA bungled the handling of UFOs because of its policies of excessive secrecy, in effect fueling the idea of a massive UFO cover-up (for which, not surprisingly, Haines finds no evidence). For example, in 1957 Leon Davidson, a UFO investigator who worked at getting the Robrtson Panel report released and was a believer in a government cover–up, was working on a UFO case involving a strange tape recording made by the Maier sisters of Chicago. This tape had actually been analyzed by the CIA’s Office of Scientific Intelligence (OSI) and found to be "nothing more than Morse code from a US radio station." When Davidson wrote to Dewelt Walker, the CIA officer who had contacted the Maier sisters, Walker obfuscated and refused to provide a straight answer about his role. When Davidson persisted, the CIA had the Air Force contact Davidson saying that Walker "was and is an Air Force Officer." Then to further screw things up, the CIA had one of its officers dress in an Air Force uniform and contact Davidson, claiming to speak on behalf of the Air Force. One cannot blame Davidson for believing there was a cover-up because, obviously, there was. As Haines writes, "Thus, a minor, rather bizarre incident, handled poorly by both the CIA and the Air Force, turned into a major flap that added fuel to the growing mystery surrounding UFOs and CIA’s role in their investigation." In another incident, officers from the Contact Division (CD) of the CIA obtained a UFO photograph from Ralph Mayher in November 1957. After the photos were returned (with no comment or analysis for Mayher), he contacted the CD for the CIA’s evaluation because he wanted to mention it on a television program on which he was going to appear. The CIA declined. Major Donald Keyhoe, head of NICAP, heard about these events and contacted the CIA to confirm the story. But the CIA refused, referring the matter to the Air Force, even though, as Haines writes, "CD field representatives were normally overt and carried credentials identifying their Agency association." No wonder, again, that ufologists would conclude the government was lying about its UFO activities. Although the CIA clearly lied to Davidson and Keyhoe, the actual UFO events at the heart of each story were mundane and not of particular importance. More sinister is the suggestion that the CIA (or FBI at the CIA’s direction) has monitored UFO groups and investigators. Haines has no direct evidence for this, but it is unclear where such records would be kept or whether they would even be at the CIA (rather than the FBI). Certainly, the FBI has files on various ufologists, including Richard Hall, head of the Fund for UFO Research and long-time staffer at NICAP. A complete history of the CIA’s involvement in UFOs should have discussed this critical issue in depth; after all, the Robertson Panel recommended that UFO groups be monitored for subversive activities. That Haines did not fully discuss this subject can probably be attributed to his ignorance of UFO history, to the lack of documentation about this subject in CIA records, and perhaps, to the scope of his article which is more concerned with the investigation of UFOs rather than the investigation of ufologists. Although the evidence is circumstantial, there are other hints that the government was monitoring UFO groups long before these discussions. In their book UFOs Over the Americas, Jim and Coral Lorenzen detail several rather bizarre incidents of what would seem to be rather clumsy attempts to learn the Lorenzens’ motives for their UFO investigations and the work of APRO, the organization they founded. These occurred in several states over at least a dozen years, and the Lorenzens sound more amused by the experience than upset. In point of fact, just about any ufologist would have been pleased to have the Air Force or CIA approach them and ask for advice about UFO investigations or what types of cases the investigator was receiving. The problem faced by these agencies, as Haines outlines, is that an excessive policy of secrecy kept them from openly contacting UFO investigators who most likely would have cooperated with government requests for information. As evidence, in early 1965 CIA agents finally did meet openly with Richard Hall at NICAP offices, who glady gave them copies of UFO reports for the CIA’s own review of the UFO situation. There is no more pivotal event in the CIA’s involvement with UFOs, perhaps in the U.S. government’s interest in UFOs, than the Robertson Panel of January 1953. Haines devotes just over a page to this critical study, which provides him no room for nuance or much more than a bare reciting of the facts. In his review of CIA documents he demonstrates the very high-level CIA interest in UFOs engendered by the UFO flap in the summer of 1952 and, especially, the sightings over Washington, D.C. A special study group was formed within OSI to review the UFO situation. Director Walter Bedell Smith "wanted to know whether or not the Air Force investigation of flying saucers was sufficiently objective," and he wondered "what use could be made of the UFO phenomenon in connection with US psychological warfare efforts." Memos and meetings were frequent in late 1952 as the CIA considered what should be done about the UFO problem. Haines’s research shows that the Robertson Panel’s concerns about the clogging of communication channels and the use of UFOs to disrupt U.S. air defenses were taken straight from CIA concerns expressed in internal memos during the summer of 1952. In other words, the Robertson Panel, despite the eminence of the scientists involved, appears to have been carefully orchestrated by the CIA to come to the conclusions it did, which included debunking UFOs with the help of the Air Force Project Blue Book. Haines does not comment on this element of the CIA’s role in determining government policy. I turn now to the issue that so dominated press coverage of Haines’s article, the claim that many UFO reports were caused by secret aircraft flights. Given the nature of many UFO reports of objects seen at close range low to the ground, ufologists have uniformly found this claim preposterous. I have over the years personally reviewed the majority of Blue Book reports and know that that they were not caused by misidentifications of spy planes. But because this is such an important claim, here is the full discussion of this issue by Haines. In November 1954, CIA had entered into the world of high technology with its U-2 overhead reconnaissance project. Working with Lockheed’s Advanced Development facility in Burbank, California, known as the Skunk Works, and Kelly Johnson, an eminent aeronautical engineer, the Agency by August 1955 was testing a high-altitude experimental aircraft—the U-2. It could fly at 60,000 feet; in the mid-1950s, most commercial airliners flew between 10,000 feet and 20,000 feet. Consequently, once the U-2 started test flights, commercial pilots and air traffic controllers began reporting a large increase in UFO sightings. According to later estimates from CIA officials who worked on the U–2 project and the OXCART (SR-71, or Blackbird) project, over half of all UFO reports from the late 1950s through the 1960s were accounted for by manned reconnaissance flights (namely the U-2) over the United States. This led the Air Force to make misleading and deceptive statements to the public in order to allay public fears and to protect an extraordinarily sensitive national security project. While perhaps justified, this deception added fuel to the later conspiracy theories and the cover-up controversy of the 1970s. The percentage of what the Air Force considered unexplained UFO sightings fell to 5.9 percent in 1955 and to 4 percent in 1956. What exactly is the evidence for the claim that "over half of all UFO reports . . . were accounted for by manned reconnaissance flights"? In one footnote, Haines mentions the monograph The Central Intelligence Agency and Overhead Reconnaissance: The U-2 and OXCART Programs, 1954–1974, by Gregory W. Pedlow and Donald E. Welzenbach (1992). A colleague at CUFOS tried to obtain a copy of this reference, which was published by the CIA History Staff, but has been told the monograph is classified. That makes it impossible to verify its accuracy. In a second footnote, Haines mentions a telephone interview with a John Parongosky, who "oversaw the day-to-day affairs of the OXCART program." I would like to call Mr. Parongosky myself, but have been unable to find any listing or address for him. In any case, there is a very straightforward step which could verify this claim about spy planes, one I am surprised was not taken by at least one reporter. If the Air Force was lying about the cause of UFO sightings to protect the secrecy of our spy planes, then obviously the heads of Blue Book would hve been central to the deception. Yet no one seems to have contacted any of these officers, most of whom are still living, for a comment. I had previously spoken to Lt. Col. (Ret.) Robert Friend, head of Blue Book from about 1958 to early 1963, on a matter of UFO history, so I called him again recently to discuss this subject. Friend had not heard about the CIA report (he doesn’t watch much television and doesn’t follow UFO news closely these days), but he was very interested to learn about its existence. He asked me for a copy plus any news stories I had on the report. I read to him the discussion by Haines reproduced above and then asked for his comment. Almost the first words he said were that it is "absolutely not true" that he or his Blue Book team were covering up spy flights as alleged by Haines. He found the whole idea laughable, and he knew Blue Book did not receive more reports from pilots and air traffic controllers after the U-2 began flying. I asked him if he had ever concealed classified activities that were reported as UFOs. Friend indicated that, indeed, this had occurred on a few occasions, but it was not a regular occurrence. I inquired as to whether he had regular contact with the CIA at Blue Book. He said that he did because the CIA overlooked no potential source of information and wanted to keep tabs on all government intelligence activities. In addition, the Air Force had utilized the services of the National Photographic Interpretation Center, the CIA’s photo analysis office, to analyze UFO photos. However, in none of his contacts with the CIA or U-2 project staff was Friend ever told to conceal sightings of the U-2 by the CIA. To be absolutely sure before I ended the conversation, I asked Friend whether the project had ever received a sighting which he recognized as caused by a U-2 (or other secret aircraft). He said, to his recollection, no. Once again, he chuckled about the idea of half of all UFO reports being caused by manned reconnaissance flights. I then read him the statement by Sconyers quoted earlier, in which the general cannot "confirm or deny that we lied." This brought a guffaw from Friend, who wondered why Sconyers, or anyone currently in the Pentagon, should know what happened 30 years ago. We both marveled at how the press and the military (and Haines) had failed to contact the obvious central figures in this alleged cover-up. In summary, then, the claim that motivated the press coverage of Haines’s report is inaccurate and is not evidence for a CIA and Air Force cover-up of UFO sightings and lies to the American public. Yet the CIA and Air Force did knowingly debunk UFO sightings, and Blue Book personnel often came up with any old explanation so that the yearly summary sheets would have only a small percentage of unidentified sightings. So I’m not too unhappy that the CIA and Air Force were taken to task for something they didn’t do, but it is important to set the record straight. Beginning in the mid-1970s, UFO researchers began using the Freedom of Information Act (FOIA) to request government, including CIA, documents on UFOs. Once again, the CIA mishandled the requests. After William Spaulding, head of Ground Saucer Watch, wrote in 1975 requesting UFO records, the CIA Information and Privacy Coordinator Gene Wilson wrote to Spaulding that the Robertson Panel was "the summation of the Agency interest and involvement in UFOs." As Haines states, "Wilson was ill-informed." Not believing Wilson’s statements, ufologists sued the CIA for records and won the release of about 800 pages in December of 1978. Since the CIA had, unwisely, been denying its inolvement in UFO matters, the media was surprised to learn how many documents were held by the agency. The New York Times claimed as a result that the CIA was probably secretly involved in the study of UFOs. During the late 1970s and 1980s, the Agency continued its low-key interest in UFOs and UFO sightings. While most scientists now dismissed flying saucers [sic] reports as a quaint part of the 1950s and 1960s, some in the Agency and in the Intelligence Community shifted their interest to studying parapsychology and psychic phenomena associated with UFO sightings. CIA officials also looked at the UFO problem to determine what UFO sightings might tell them about Soviet progress in rockets and missiles and reviewed its counterintelligence aspects. Agency analysts from the Life Science Division of OSI and OSWR officially devoted a small amount of their time to issues relating to UFOs. These included counterintelligence concerns that the Soviets and the KGB were using US citizens and UFO groups to obtain information on sensitive US weapons development programs (such as the Stealth aircraft), the vulnerability of the US air-defense network to penetration by foreign missiles mimicking UFOs, and evidence of Soviet advanced technology associated with UFO sightings. If I hadn’t checked the calendar after reading this, I would have sworn this was 1952 and I was reading of CIA concerns about how UFOs could be used by the Soviets against the United States, as eventually expressed in the recommendations of the Roberson Panel report. Some things never change, at least during the Cold War. Haines notes that during this period, "Agency officials purposely kept files on UFOs to a minimum to avoid creating records that might mislead the public if released," and Haines says he found almost no documentation on CIA involvement with UFOs in the 1980s. This certainly is an effective method to circumvent FOIA, but it hardly leads to further confidence in the CIA. Finally, in an intriguing footnote, Haines says that the "CIA reportedly is also a member of an Incident Response Team to investigate UFO landings, if one should occur. This team has never met." Say what? He offers no evidence for this statement, which, if true, belies the notion that the government completely ignores UFO reports. In the end, Haines’s article is not as revealing as press reports indicated, but it does open a window on CIA activities that have long been closed to the public. Perhaps its chief contribution will be the documents referenced in the footnotes which can now be specifically requested through FOIA by an enterprising UFO historian. His historical analysis is unremittingly pedestrian, but he does admit that CIA errors of commission and omission contributed directly to the notion of a UFO cover-up, and he demonstrates that there was indeed a cover-up, though not of spy planes, of a UFO crash near Roswell, nor other events of similar import. Another effect of Haines’s article is a gradual shifting of media opinion toward granting greater credibility to the statements of UFO groups and investigators and a concomitant greater distrust in government claims about its UFO activities. This is all to the good and here the old phrase "better late than never" surely applies. Those wishing to acquire the full text of the article may download a copy from the CIA’s Web site at http://www.odci.gov/csi/studies/97unclas/ufo.html (This site has since been removed from the CIA website.). Hard copies can be obtained from the Photoduplication Service, National Technical Information Service, 5285 Port Royal Road, Springfield, VA 22161. To expedite service, call the NTIS Order Desk at (703) 487-4650. In response to many requests by private citizens, including a lawsuit by Citizens against UFO secrecy, the National Security Agency and the Federal Bureau of Investigation [UFO data no longer there] have made available thousands of pages of UFO-related documents held in their files. Recently, these agencies placed these same documents on their web pages so that these records are widely accessible. In addition, the FBI has released its files on the investigation it conducted into cattle mutilations several years ago. Many of these documents have been selectively censored before release to remove identifying details. Nevertheless, the documents make for fascinating reading and provide a glimpse into what actions these agencies took about UFO reports. Both agencies claim that all UFO-related documents in their files have now been released, except any held in their entirety for national security reasons. Heute waren schon 33870 visitors (72182 hits) hier!